Racing fans just don't get the love they deserve. But don't worry, we haven't forgotten you this Cyber Monday. 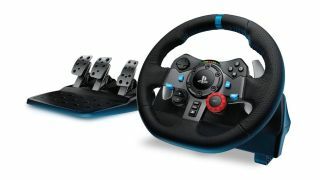 Logitech's very spiffy, PS4-compatible racing wheel is currently 30% off on Amazon. View deal: Logitech Driving Force G29 Race Wheel for $280.00 on Amazon. There's an even more impressive package that throws in a shifter for $324.99 on Amazon, but we'll leave it up to you to decide if that's an addition you want on your desk. Need some games to use your new toy on? Check out the rest of our constantly updated Cyber Monday gaming deals. And if you're looking for PS4-specific deals, we've got a list of the best Cyber Monday PS4 deals as well.